Indy may have lost his little shop in Adventureland, but one trace of him still remains in the new eatery that now occupies that space. He now has a new job keeping kids off of drugs in the corner of the room. 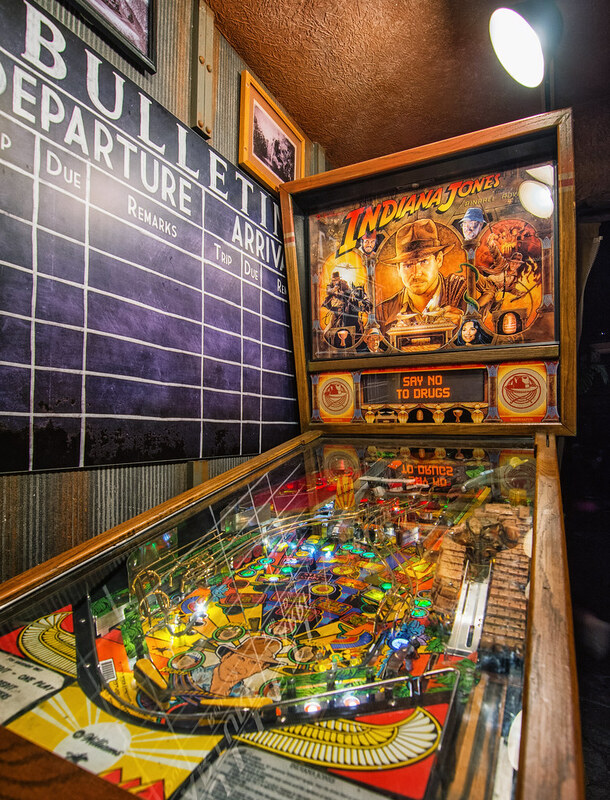 This entry was posted in Adventureland and tagged Adventure, game, HDR, indiana jones, Indy, machine, pinball. Bookmark the permalink.